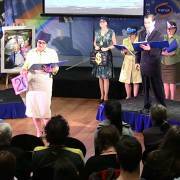 "A WITCH-HUNT - GUILTY UNTIL PROVEN INNOCENT"
THEATRE DOCUMENTARY LIVE ON STAGE SINCE 2007! 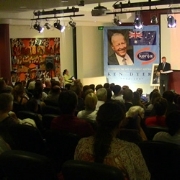 The incredible story of the 15 year-long attack on the reputation of Ken Dyers – in an attempt to destroy Kenja Communication, the organisation he co-founded – which ultimately led to his death at age 85. 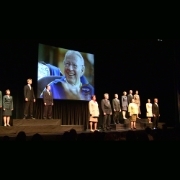 This documentary – presented live on stage by many of Ken’s colleagues – presents the true story by showing clear evidence. It follows through time the attempt to suppress ordinary people, and their right to take charge of their own lives. It shows how state-sanctioned witch-hunts are used to attack and destroy those who would promote that right. Ken’s story shows where even proving your innocence is not enough to stop attacks by fanatics. 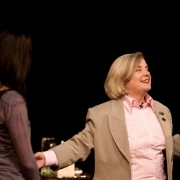 The second half of the evening has Jan Hamilton, who along with Ken co-founded Kenja Communications in 1982, demonstrate the use of energy in communication as researched by Ken Dyers over many decades. 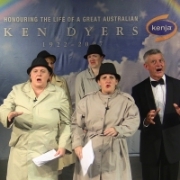 Kenja and Jan Hamilton in association with Ken Dyers and others have been contributing original plays and musicals to Australian culture for close to 40 years. 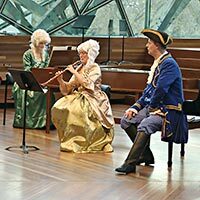 It is an exciting history of original shows and musicals, all Australian and creating a history of which we are very proud. 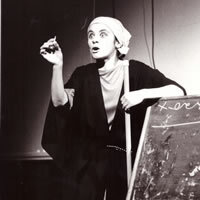 Jan worked in professional Film and Drama at the beginning of her professional career following her attendance at the E15 School of Acting in London from 1974 to 1977. 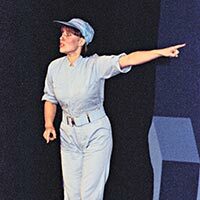 Jan has contributed her professional knowledge to Kenja with work in performance and drama for over 30 years. 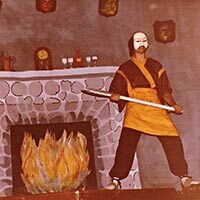 Kenja performances are self funding. The principle is that we make ends meet which has been the norm for many years. 1967 – 1970 BSc (Physics Major) Dip Ed, Melbourne University. 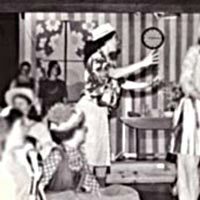 1970 In 1970 Jan was the top female performer for the Murray Sutherland Award for outstanding undergraduate performance. 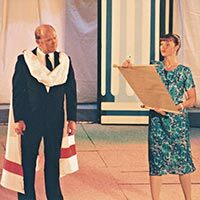 But, along with the male winner, she was a postgraduate student. 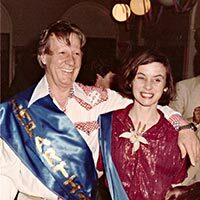 So no Murray Sutherland Prize was awarded that year. 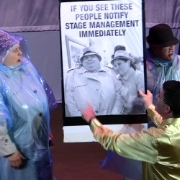 But it was recommended that both actors be notified of the excellence of their performances. 1971 Taught Physics for one year. 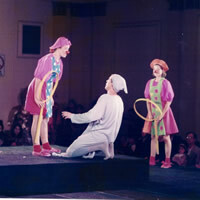 1972 – 1973 Worked full-time in professional theatre in Melbourne. 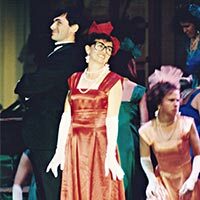 St Martins Theatre, Melbourne Theatre Company (contracted for 1 year and 3 months professional) and played Vanessa in “The Mating Season” with Syd James. 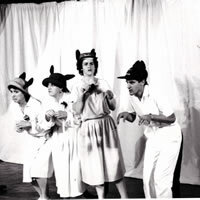 1974 – 1977 Awarded an Australian Council Grant to study at East 15 Acting School London, England. 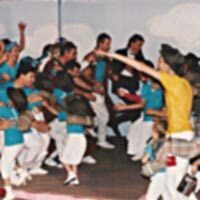 3 year full-time professional course. 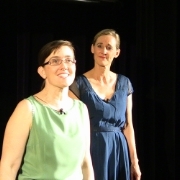 Studied extra voice with Jess Curtis, singing with Geoffrey Connor and movement with Leah Bartell. 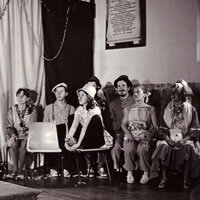 1977 When finished E15, worked in professional theatre in England. 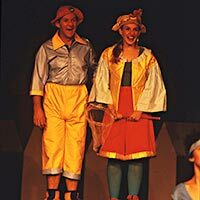 Toured with own clowning show. 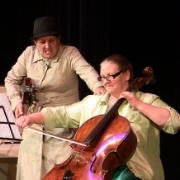 Played Viola in “Twelfth Night” for the MacNaughton Theatre Co. 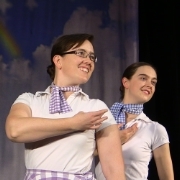 Contracted for 1 year to Spectrum Theatre Company, but unable to take up contract because of work permit restrictions. 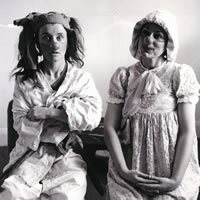 1978 – 1979 Worked in professional theatre in Australia. 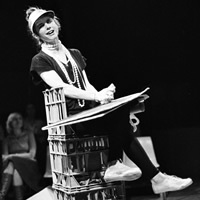 Played Mary Todd in “Madly in Love” for the Q Theatre. 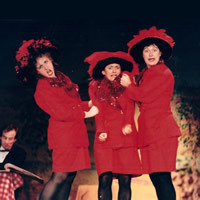 Played Sorel in “Hayfever” for Old Tote Theatre at the Opera House. 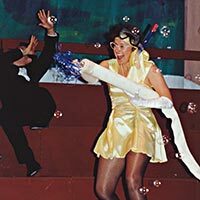 “Buttercup’s One Woman Magic Show (with Gladys)”, “Ready for Men”, “Kold Kupperchino”. 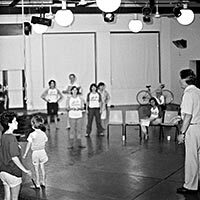 Began Klowning classes and workshops, and started working with Ken Dyers. 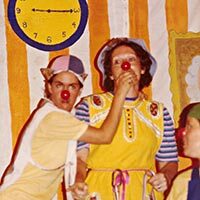 1980 More klowning shows with her students. 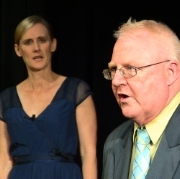 “The Play”, “Just One of Those”, “XXIII” all written and directed by Jan Hamilton assisted by Ken Dyers. 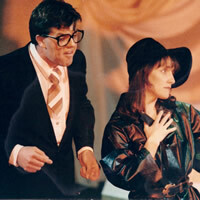 TV and Radio work including Geraldine in "Water Under the Bridge" a Channel Ten production. 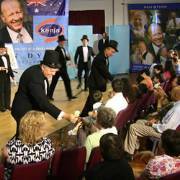 Started helping Ken Dyers give workshops and classes. 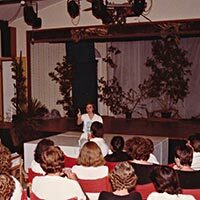 1981 Stopped work in professional theatre. 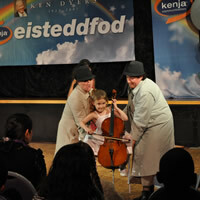 Gave attention to expanding and creating own work through working with Ken Dyers. 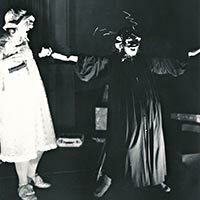 1982 Kenja began with Ken and Jan.
Jan's own clowning and mask shows with other women. 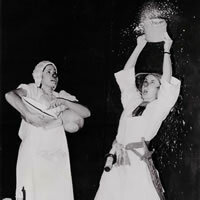 1978 – 1979 "Buttercup's One Woman Magic Show (with Gladys)"
Buttercup's cooking demonstration is ruined by Gladys sifting flour on herself. other women after Jan had met Ken Dyers. 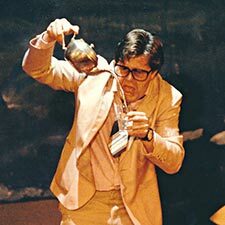 1978 – 1979 "Kold Cuppacino"
Written and directed by Julie Hudspeth & (Jan Hamilton assisted by Ken Dyers). 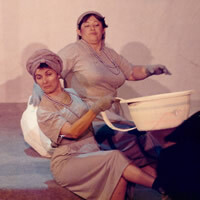 A humorous send up of middle class approaches to the performance of Brecht, mime and other artistries. 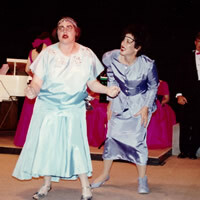 A show performed by Jan Hamilton & Julie Hudspeth. 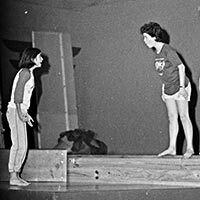 Jan Hamilton and Julie Hudspeth in rehearsal for "Kold Cuppacino"
1978 – 1979 "Ready for Men"
Written and directed by Heather Robb & (Jan Hamilton assisted by Ken Dyers). 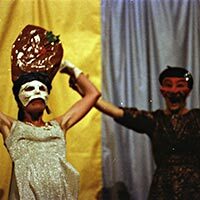 A Klowning show taking a look at the personal conflict involved when women sell out their own viewpoint in order to become attractive to men. 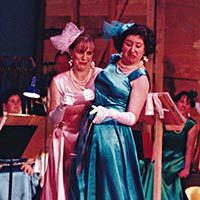 Buttercup (Heather Robb) plunges into womanhood with great eagerness while Gladys (Jan Hamilton) can’t see the point of these new rituals. 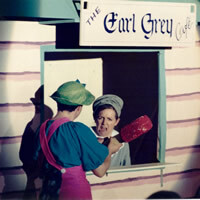 The Clowns have to confront a masked character Ms Hair (Jan Hamilton), whose skill is electrocution. 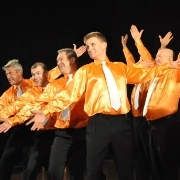 In performance "Ready for Men". 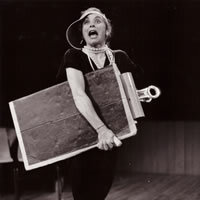 Jan Hamilton in rehearsal for the mask work for “Ready for Men”. 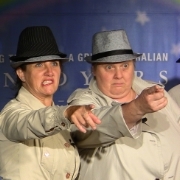 Jan Hamilton and Heather Robb in rehearsal for “Ready for Men”. 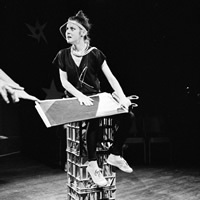 1980 – 1981 "The Play"
Written and directed by Jan Hamilton, assisted by Ken Dyers. 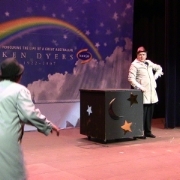 A Klowning show taking a humorous look at the classic theme of the "adult" trying to “suppress” the child-like part of people, "which never works". 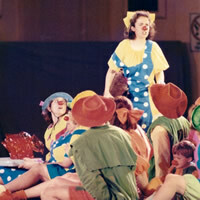 The theme is the attempt by a "Director" to impose her will on a group of clowns, which never works. 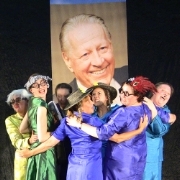 Jan Hamilton as the Director with some of the Klowning cast from “The Play”. 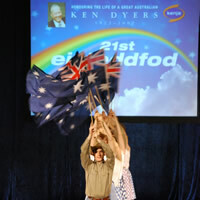 Time Space and Energy coach Ken Dyers. 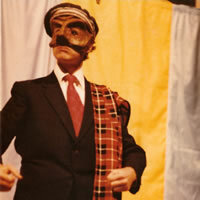 Involving mask and clowning work. A nine week season in Balmain. Including "The Play", "Just one of Those", "XXIII". 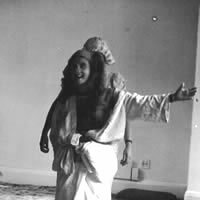 After the success of “The Play”, Jan wrote and directed 2 more plays to make a trilogy of sequential shows along the universal theme of the attempted suppression of the child-like part of us. This is a return season of the groups first work. 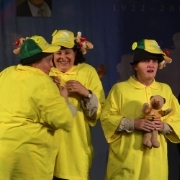 It is a hilarious comment on todays “intellectualism”, as our four clowns “find themselves”. 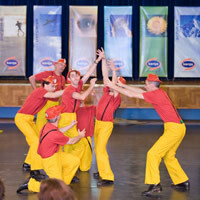 Our four clowns try to “get it together”, helped by four new and eager clowns and foiled by a cleaner with a degree. An investigation of suppression. 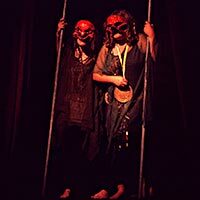 This takes us on to some dynamic and original Mask work, with strong and powerful results when we place Clown and Mask together. 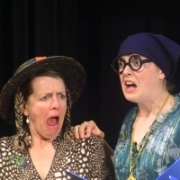 Will champion swimmers Darlene and Monica really drown all opposition or will our clowns survive the race? 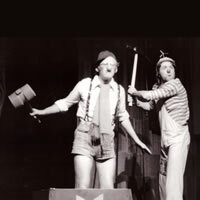 November 1981 "Oh Crumbs, A Klowning Show"
Based on improvisation Klowning classes. 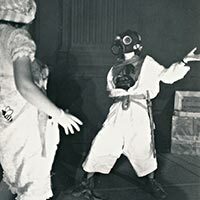 As the Time, Space and Energy work combined with the Klowning classes and mask work grew, and more people became involved, a demand for more shows surfaced. 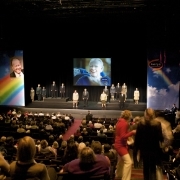 So these were smaller shows, designed to introduce people to the skill of sharing their communication with an audience. 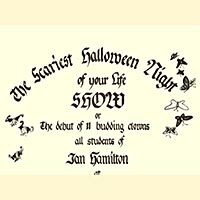 November 1981 "Cool Fever Disco"
1982 "The Scariest Halloween Night of Your Life Show"
1982 – 1983 "Oh, Bananas"
A Klowning and mask show. An exploration of the pursuit of the joy of ones potential and the forces that can oppose this. An expression of the simplicity and love of life of the human spirit. 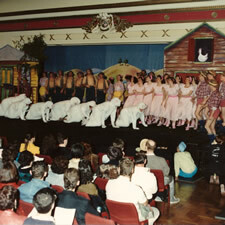 This very successful show did a season at Woolloomooloo and toured Queensland. 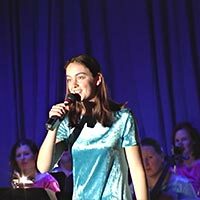 With many trained and effective performers through Ken and Jan’s work, Kenja now ventured into the production of a large cast musical. 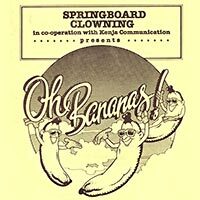 A group of Klowns have a Banana tree growing in their living room of which they are very proud. They landlord comes to throw them out because of this. However the spontaneous joy of life of the Klowns diverts him into the joy of living. 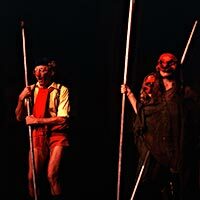 He then confides in the Klowns that the real problem is not their tree but that he has deeply powerful and destructive characters in his house as well as the Klowns and he finds it impossible to get rid of these characters. The Klowns naturally accept the challenge of helping him and set off on the quest to get rid of these destructive characters. After many adventures they prevail. 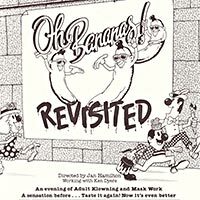 1982 – 1983 "Oh Bananas Revisited"
A follow up of the original show involving mask and Klowning work. 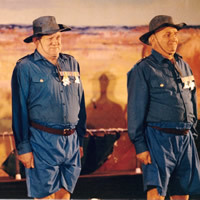 This show later toured Queensland. 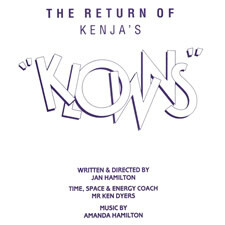 "Old Man Sun has a song for me"
This much loved Kenja show was very successful. 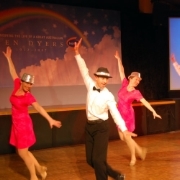 Appearing to strike a chord with audiences across three states. 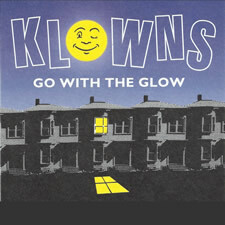 A group of Klowns who are great friends have been separated and lost for over 100 years. They are all trying to get “home”. 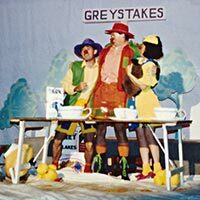 On this one particular day, some how, they all find themselves in the small parochial town of “Greystakes”. Throughout the day their presence terrorizes the townspeople who end up trying to get rid of them. However it is through their stay that the Klowns find each other again and profoundly influence the lives of the Greystakes people. 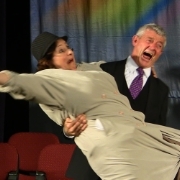 An old couple of god like masked characters, who are grandparents and have also been lost for 100 years from their own home, find themselves in Greystakes on this same day. At the end of the day, Klowns and mask characters are transported through a great storm to the home of the mask characters. 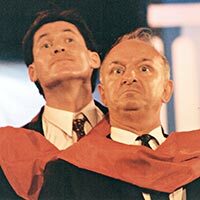 Shocked by the emerging parochialness of their own god like domain over the 100 years they have been away, our two elder statesmen can’t help but change this with the help of the Klowns, who with great joy eventually find their own “home”. I think you’ll like it”. 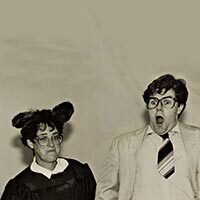 Mr Rafter, a Greystakes resident with 3 daughters and a demanding wife, sees his family destroyed with the discovery o a single Klown in their broom closest. But some how he will survive and free him self from the town of Greystakes. 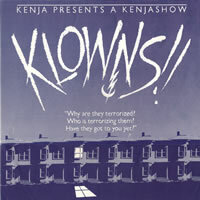 2 Klowns who can’t help but enjoy the activities of Greystakes people, terrorize some young victims. 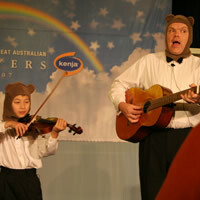 This show did a season in Noosa, which had a Kenja centre there. 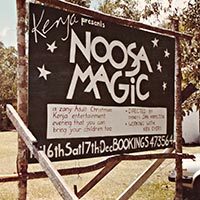 It did a very successful season in Noosa and was a celebration of the beauty and aesthetic of Noosa, the bush, its wildlife and its surrounds. 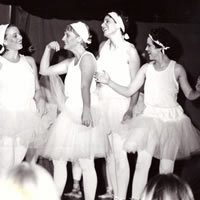 A group of ballerinas find their time to use the local hall has been double booked by a group of footballers. The show explores the resolution of the all out war that follows. Both parties discover they need to expand their realities to encompass the viewpoint of the other. 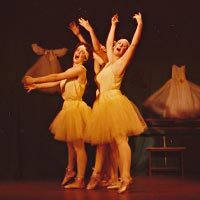 Ballerinas attempt to rehearse under duress. 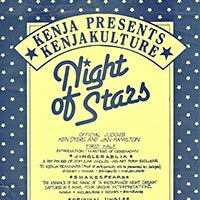 1984 – 1985 Kenja's first "Night of Stars"
A competition in dance, klowning, performance and the effective use of Time, Space and Energy held between the four Kenja Centres. 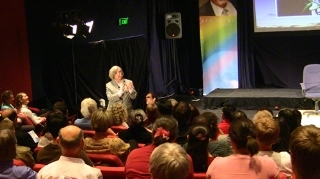 Held at the Bondi Pavillion. Judged by Ken & Jan. 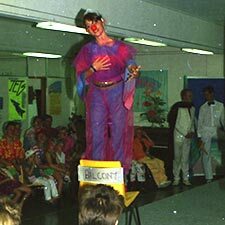 This was a prelude to what would become in 1988 a fully blown Kenja Eisteddfod with competition in many forms of dancing, music and the spoken word. With judges who are professionals in their field. 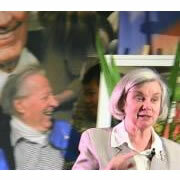 However at this particular first event Ken and Jan judged the performances from two viewpoints. 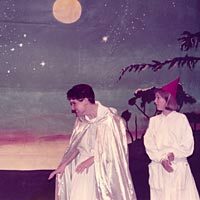 Jan from performance and Ken from the use of Time, Space and Energy. Ken and Jan arriving for the event (Please note the impartial sashes they had been presented with ensuring that they would maintain this viewpoint in their judgment. 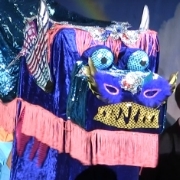 This began to mark a transition from Klowning and mask shows to shows without Klowning and mask. 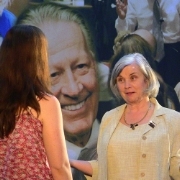 It was the beginning of Jan’s attempt to bring high life-force energy performance values, as well as a human viewpoint. 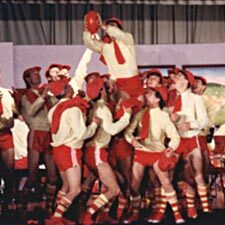 The red nose began not to be used in the shows. But as a training tool. 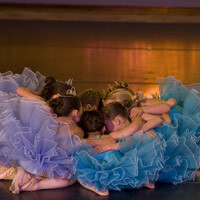 This ensured that performers could bring that openness and simplicity of the human to their communication. 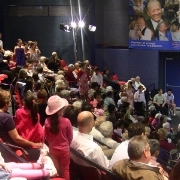 This was the first time form all four centres joined in the original performance of this show at the Civic Complex in Canberra from four states, the four Kenja Centres. Bush animals come face to face with benign and not so benign intergalactic travellers. 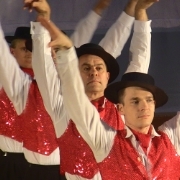 Various sporting teams meet competitively in their desire to achieve in competition. They move through the desire to annihilate their competitors into an understanding of the need to bring out the best in ones self and others in order to survive. so their war changes to co-creation. 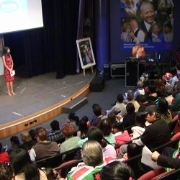 This cast was enormous as it brought together, people from the four Kenja centres, across four states and it gave most people a “go”, to put their Time, Space and Energy training into action in front of an audience. 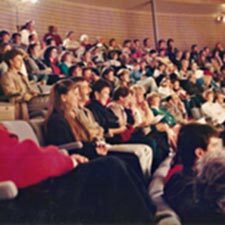 It was a big success and established the pattern of the involvement of people from different states in many of the big shows we were to subsequently do. 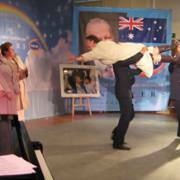 This show was originally performed in Canberra during our first ever “Kenja Challenge”. 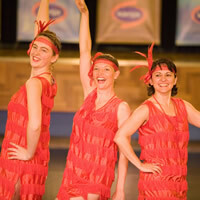 The Challenge was conceived as competition in sport (individual and team) and dancing. 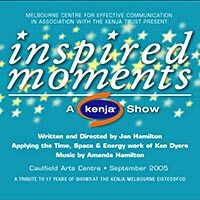 This was inarguably a four day event with one day put aside to rehearse and do a couple of performances of the latest big Kenja Musical. This Challenge became and is still and annual event on the Kenja Calendar. 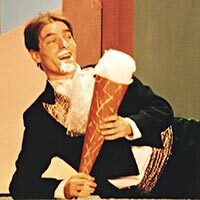 1987 – 1988 "Carmen Banana is Back"
Reverse of the “Pied Piper” story. 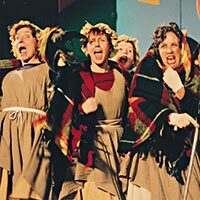 The townspeople awake to find that their children who had one day, up and left the town, have returned. 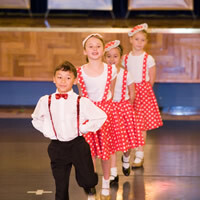 The higher values they have learnt influence and strengthen the bonds between the parent and child. This new found awareness, begins to cause havoc with some of the city elders who eventually lose their battle to suppress new found consciousness and awareness of potential. 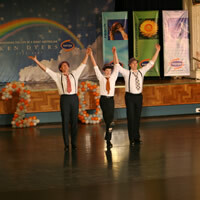 Again performers from four centres and four states participated. 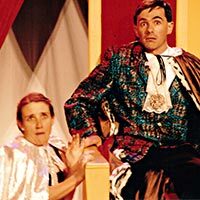 1987 – 1988 First season of "Kenja Christmas Pantomimes"
This big musical show, comprising people from four states and four Kenja centres, was originally performed at the Melbourne Eisteddfod 1988. It did seasons in Melbourne, Sydney and Canberra. It was as if the high energy, simplistic and humorous Klowning and mask viewpoints were now being consolidated in “straight” shows. (Without mask or red nose). 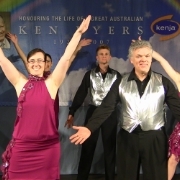 The Time, Space and Energy work of Ken Dyers, was having a profound influence on the performers to be able to relay this level of performance. 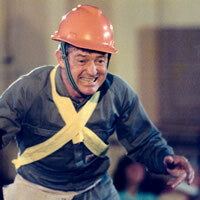 It was as if with this show “People”, this genre of a new type of performance gelled. 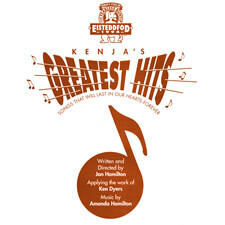 It produced many hit songs and started another phase of very successful, big cast, Kenja Musicals. This show was a breakthrough in many ways. 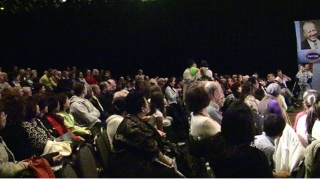 A breakthrough on the organisational nightmare of directing and creating a huge show of people from 4 states. 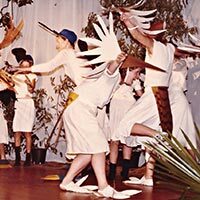 It was a break through in the writing and music, and a breakthrough in Ken’s work, with so many people capable of sustaining joyous energy over a sustained and stressful period. 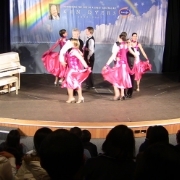 As well the energy abilities and skills of communication of the performers, validated Ken’s work. 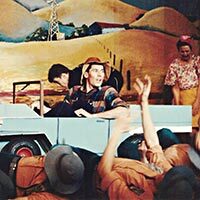 This was the first in the second wave of a number of big, successful Kenja musicals. 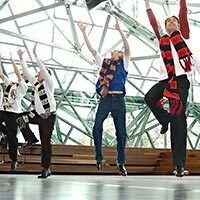 The call goes out of the big dance competition and ordinary people from all walks of life, garbage men, school children, sportspeople, policeman and criminals are all inspired by the magic of the dance. 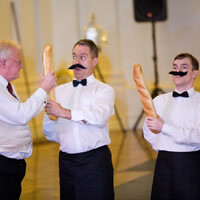 There is a hint of intergalactic influence on the magic of the occasion. 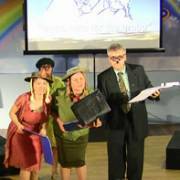 The humorous adventures and competitiveness between the different groups is the background to this magic and enthralling story. Underlining the adage that if you really aspire and commit to that viewpoint, all sort of positive flows will follow you. 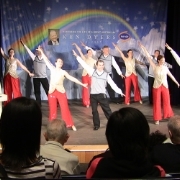 This competition in music, dance and physical culture became an annual event. 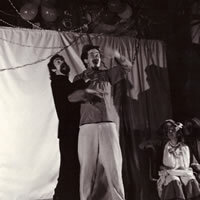 1987 – 1988 "Shakespeare’s Greatest Hits"
Created from improvisation through Klowning classes. 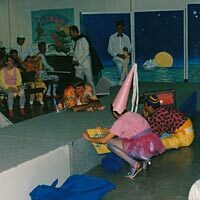 These smaller shows were designed to give people in Klowning classes experience in performing and to consolidate the simplistic viewpoint of the human. 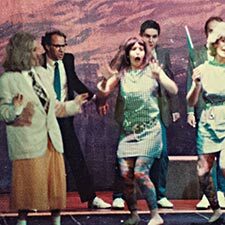 A group of Klowns are studying Shakespeare and decide to perform his greatest hit’s. 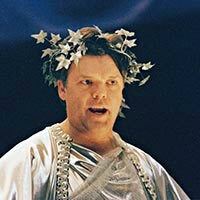 Shakespeare himself comes to MC it. 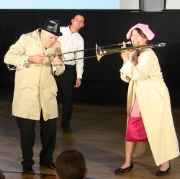 The scenes get confused and in typical Klown style, Shakespeare is rewritten. 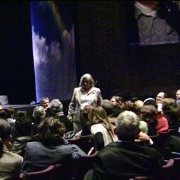 There are many suitors after Juliet standing in line. 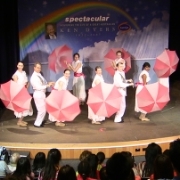 This huge undertaking again used performers from all states and Kenja Centres. 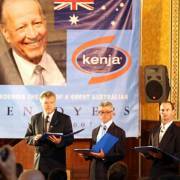 As Kenja expanded, the positive results of Ken’s energy conversion work could not be denied in its effectiveness for people to become cause over their individual environments. It became real to Jan how much we can co-create each other in a truly positive way. 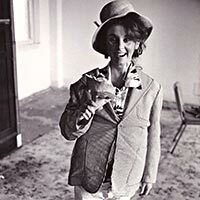 She realized that at the core of the success of her own work in performance with other people, was Ken’s work. 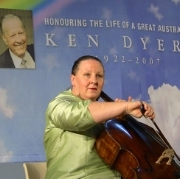 She had then, and has now, a deep appreciation of Ken’s work and his attitude towards promoting and developing her life’s work to become a reality. It was natural to have a deep appreciation of this. 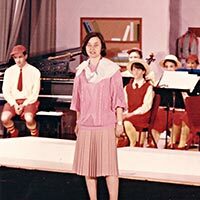 It made her look to the past to all the teachers, tutors and mentors over her life who had been able to assist her with her purpose at various times. 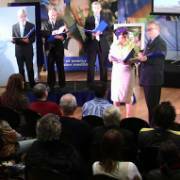 It was with a deep appreciation to all of this that “Inspired Moments” was written. As a tribute to all the teachers and mentors we have all had throughout our life. It is almost as if we do nothing alone but are truly dependent on others for our survival. 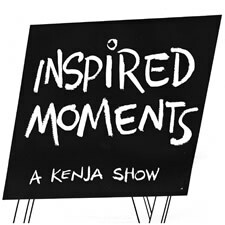 So “Inspired Moments” grew. It is set in a school. All schools everywhere. The difference is the teachers were children and the students were the adults. 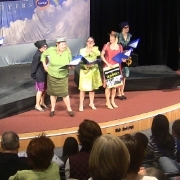 The show opens with the song “School, School, School, when will it end, when will I learn? Establishing the proposition that we are always at school and we are always learning. 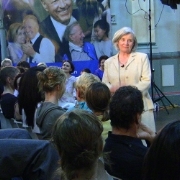 The young teachers attempt to educate their adult charges into the word aspiration. 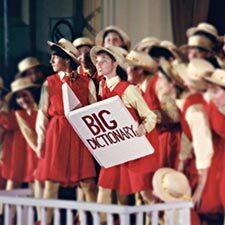 And that the flag of aspiration could guide the life (Aspiration song, Men’s Aspiration song) The teachers try to educate their older charges into the bigness of the past with dinosaurs when “Petty was out and Gigantic was in”. 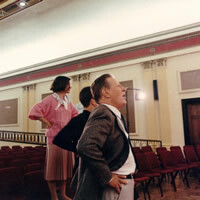 The students attempt to take up this search trying to look above them for inspiration. In to their hockey, in to their soccer. But being adults they are weighed down particularly with the women, with doubt, uncertainty and the belief that they were “Lower than Low”. For the men they were plagued with the thought that they had done nothing with their life. But through a series of lessons. These fears were viewed as monsters of mere ghosts. That when confronted straight in the face dissipated in front of their eyes and through a series of adventures were able to achieve freedom from pain and suffering. 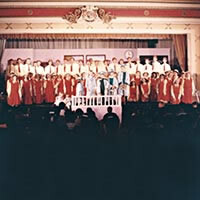 This was now the third very big successful Musical combining people from all states and seeing it as part of their training in the Time, Space and Energy work. 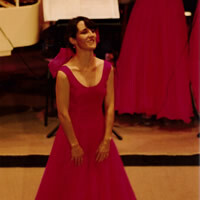 Jan felt that the music that Amanda was producing especially from “People” and “Inspired Moments”, was so popular that we should focus on this in our next musical. 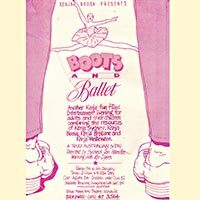 It was becoming real to a number of people, of the success we were having with shows, which of course was based on the successful combination of Ken and Jan’s work. 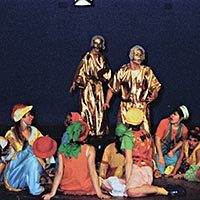 It was producing vibrant and accessible performance, particularly for people who were committed to the training in Klowning and Time, Space and Energy. 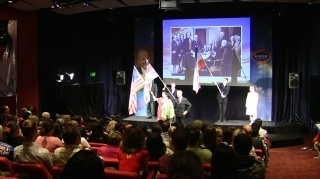 It was also producing a constant and topical Australian Theatrical work. 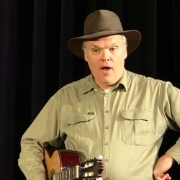 So, conscious of this Jan took the theme of the archetypal, outback Australian of the “Dad & Dave” series . 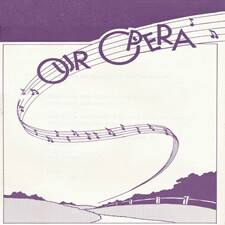 So she decided to write a play with the emphasis on music and called it “Our Opera”, which was a new look at the old Dad and Dave story. Right out in the outback strange things are happening. Dad is not only embarrassed by the lack of achievement of his older boy Dave. He is also feeling completely estranged from his old adolescent sons. They are having trouble with the sheep. So Mum cooks them dinner. (The sheep. Every night). Dave is dancing with Mabel. Dad bemoans the loss of his youth. And a strange sickness spread over the town, making people apathetic , dull and boring. Solitary sheep on top of hills, fell over. 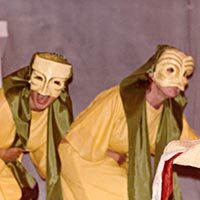 Strange creatures could be found in the street singing strange songs to themselves (the Marauding Incontinent Intransients). Children became apathetic and disgusting. It becomes very obvious, Dad, Mum, Dave and Mabel and the people of the town all need help. These strange creatures are able to summon the Great Conductor, who perhaps exists in each one of them. 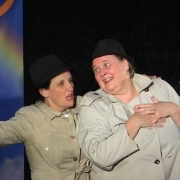 Realising the lack of joy and love in their life they are able to find it and so our story is inspired through love, to take on that dreaded monster, Blind Blight. 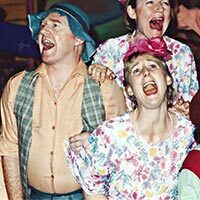 Because there were so many people wanting to be part of this show and be part of the training, the characters of Dad, Mum, Dave and Mabel became choruses, played by at least 10- 12. People became so unaware of their surroundings, because of the “strange sickness” that spread all over the town (Blind Blight) That they would drive cars through the centre of town, unaware that they were running over people. 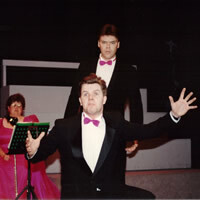 1990 "First Prize Winners Concert from Melbourne Eisteddfod"
Featuring winners from Melbourne Eisteddfod. 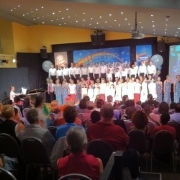 This became an annual event every year after the Eisteddfod. Who has lead us all to each other, after many years, many, many years alone. Tonight, we embark on a marvelous journey. Greystakes people are terrified when they come in contact with a pair of Klowns. 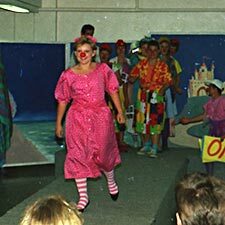 One Klown enters a little Greystakes shop to get a match for her fire. This drives the shop woman made who is terrified. Throughout their day in Greystakes, the Klowns eventually meet up with each other after 100 years of being apart. 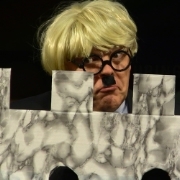 The elite of Greystakes consider themselves superior to any affect a Klown can create. Here the Klowns, Willow and Steady discover the clown Bing who has been by himself for 100 years. 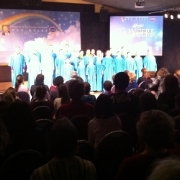 First performance of selections of Excerpt’s from Handel’s Messiah with soloists. This became an annual event. Motivated by the eternal theme of what happens when we lose our joy of living, and the danger of accepting pain and suffering as a way of life. 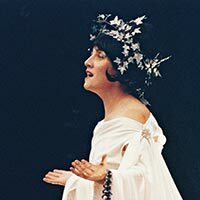 Jan delved obviously into themes from “Paradise Lost” and “Paradise Gained” and came down on the side of “Paradise Regained”. 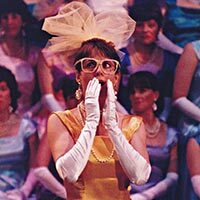 By now it was accepted that these big shows, big musicals, would have participants from all states involved in them. 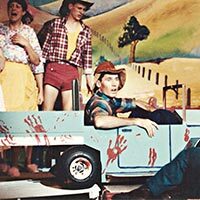 The local grade 3 teacher from the country town of Kittlepick (A dairy farming area), decides the children of grade 3 are becoming very problematic. 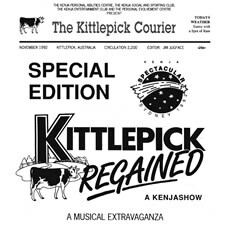 She decides the best way to this is to get the students of grade 3 to investigate and produce a performance of the history of Kittlepick. 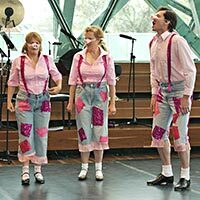 This performance will be held in a local milking shed known as the “Shed of Shame”. So begins our show. This history goes right back to the very formation of matter and the formation of our planet. Through the mono-cell, the creation of life and the discovery of the joy of existence. It is a truly breathtaking, exciting and joyous journey. 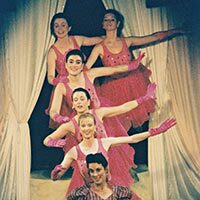 On this very eventful night, there is obvious antagism between the piano player and some of the social ladies of Kittlepick. 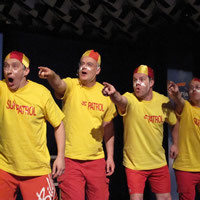 Local Kittlepick firemen, otherwise known as “Men of the Hose” are out in force for this production to ensure all goes well. 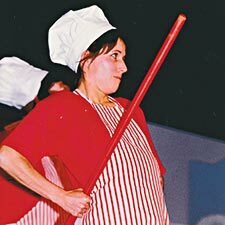 One of the local ladies from Kittlepick cannot contain herself in the presence of the “Men of the Hose” and has grabbed the hose from them. 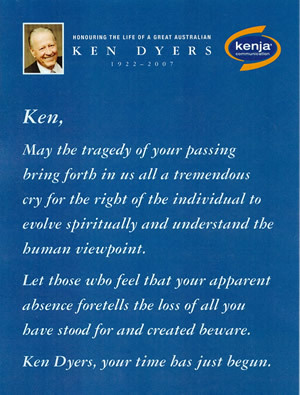 This was the beginning of the personal attack on Ken Dyers. 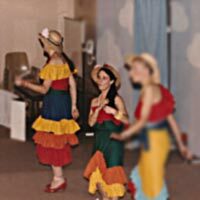 We began to realise that very few journalists in the mainstream media would genuinely investigate our growing awareness of the identifiable group of people determined to destroy Kenja. 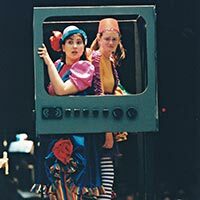 We found our shows had an added value for us. As a communication medium, and a way to tell our side of the story. 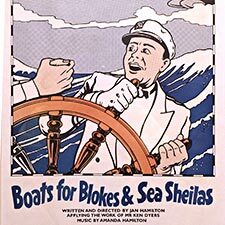 Boats for Blokes and Sea Sheilas became such a vehicle. 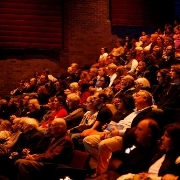 This is very exciting Theatre with a real purpose and providing an opportunity for people to have their say. 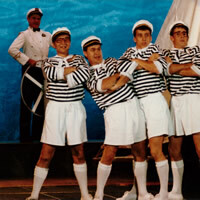 1993 "Boats for Blokes and Sea Sheilas"
The Sydney seasons sold out. 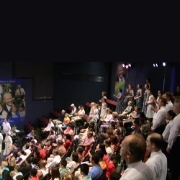 An extra season booked in the 900 seat Wesley theatre for a nine show season. This was the biggest event ever undertaken in Kenja. 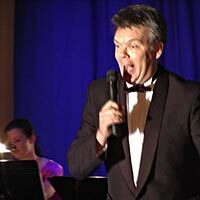 Wesley originally accepted our booking without problem, but those small people "in power", (now acting on behalf of the people out to destroy Ken) pressured Wesley to stop this performance and Wesley cancelled our booking (after we had begun advertising and spent money on this). 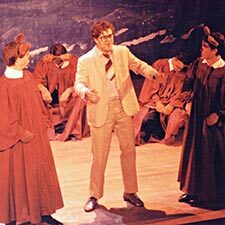 However, we repeated seasons at other venues and would not be suppressed in our right to speak up in whatever form, against injustice lies and deceit. Our story is set against the back drop of a the start of a great boat race on the harbor. Our hero, Captain Horatio, has a boat entered in that race, but his sailors are not the smartest on the water. Keen, eager and loyal with a tendency to fall over board or not accurately duplicate his commands. A cast of a myriad of different characters follow him in many ways on his adventure, some of them ruthlessly ambitious and determined to destroy him, some of them just plain mean and some of them on side. 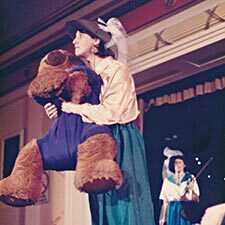 Percy Multchface, a somewhat stupid but ambitious isolated young man, determined to be upwardly mobile in the Bears House, joins forces with Johnny and the Door Bashers, the Singing Ninnies and other questionable people in his attempt to promote his own career and marry Cinders. 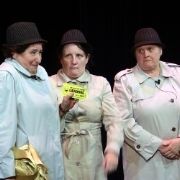 The show begins to investigate, in a humorous way the frightening machinations of those in power and those who would manipulate this power structure for their own agenda. The use of state powers to attack an individual was something neither Jan, Ken or any of us had truly viewed before. It is a frightening and terrifying experience. 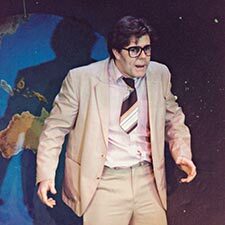 While Ken would eventually clear his name, at this point the public’s desire to “not know” about such potential terror within our own system is perhaps why the seedy, sick, invalidated, isolated Percy Multchface who appears to be so stupid that one would tend to ignore him, is given the last say at this point in the show, “Boats for Blokes and Sea Sheilas”. This speech in the show which is his inaugural speech in the Bears House is a reminder that the price of freedom is eternal vigilance and that the inciting of inflammatory mob-rule and the use of state powers and alliances to do this should never be forgotten. You thought I was asleep, with my sausages. You thought whilst you went about your business of living your lives, loving your families, bringing up your children, trying to fathom and enjoy the majesty of all of it – that I would just sit here – didnt you?! You thought in all your eagerness to find some sense of it all that you could ignore my smelly little corner of the room. Well you are wrong!! I have risen! And I have uncovered a plot so sleazy that it’ll prove to you what a good boy I am and what pathetic little creatures you all are!!! Tonight I wish to speak on behalf of concerned parents, concerned citizens and concerned American cultural exchange students. 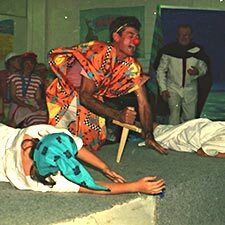 I have discovered Captain Horatio is a front – He is a fraud – He uses dangerous and covert hypnotic induction techniques to create mass hallucinations like what happened on the beach this morning to unsuspecting women who took off in boats to the sea. In skirts instead of trousers. He is a seedy con man. He is a liar, a cheat and a bully. He lies on the backs of people he has deceived and abused like these women here. He is a con man in pants. My friends have told me. And we allow people to go to sea to help their friends and search for those we know are dead and not there. 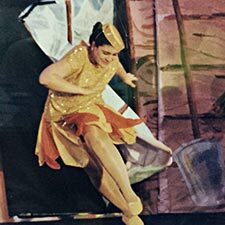 Light the fires – women are flying through the air and no one does anything about it. Where are your torches and your straw? Light a fire in your living room today and burn a friend, and I will have dominion over all. And I will rise to the top of the Bears House on the ashes of all those boats so that no-one will go to sea again. 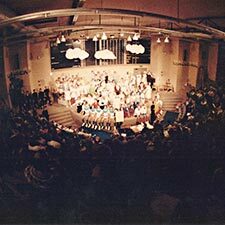 By now we had built up an extensive history of original music, shows and performances. 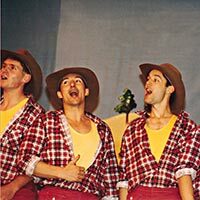 We paused for a moment, took stock and realised we could reinvestigate the joy and excitement of these past performances. And so Kenja’s Greatest Hits was devised. 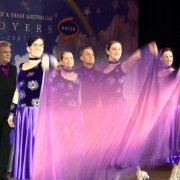 A very successful show with seasons in Canberra, Melbourne & Sydney. 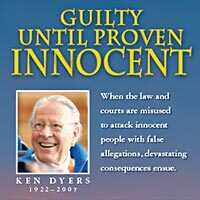 During 1996 we were still embroiled in the battle to expose the attack to destroy the credibility of Ken Dyers and so close Kenja. 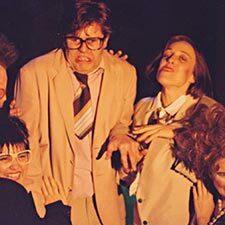 It is about a group of people attempting to put on their own “Show”. 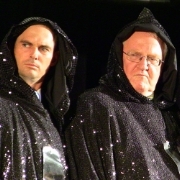 Dark forces emerge and attempt to close the show down. Of course the show is not closed down and the human voice of joy and hope prevails. Percy Multchface reemerged with a sinister dark associate called Baroque. 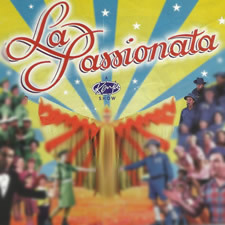 1997 - 1998 "La Passionata"
A joyous celebration of the joy of aspiration and the racketeers who would create mayhem to suppress us. 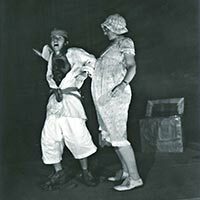 And an examination of the changing attitudes in the war between men and women. A Swedish army nurse who has dedicated her profession to helping men. The nurse is with a man she is helping. 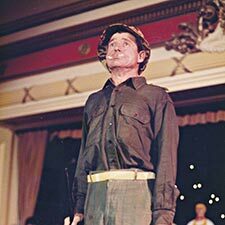 Captain of the Foreign Legion is assisted by the Swedish nurses who desire to help all men everywhere. One of the sun's rays hits the early morning. An exploration of the true equality of all men and women everywhere, in spite of the apparent hierarchies that confront us. We are much closer related than we think. 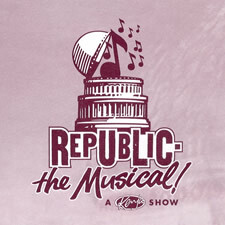 Flyer for "Republic! 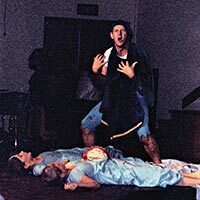 the Musical"
In 2000, Ken was found not guilty on all the remaining charges, except for one which was tried separately, which was quashed in the High Court in 2002. We had endured 10 years of debilitating court battles to prove Ken’s innocence. 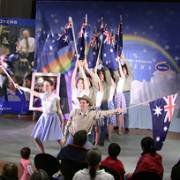 We also, amazingly, produced 6 new Australian musicals in this time, to carry our voice. 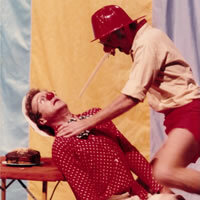 The popularity of Klowns amongst audiences led us to do a third season of the 1983 hit. 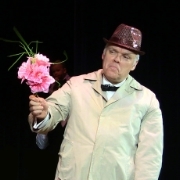 The Klown Apricot has been alone for 100 years, seeking her true love Bing who she will find this day in Greystakes. 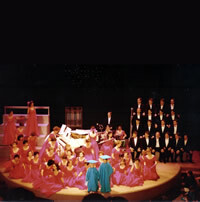 2001 "Kenja’s Prize Winners Concert" featuring winners from Melbourne Eisteddfod. 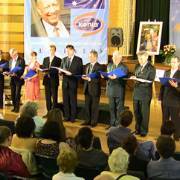 2002 "Kenja's Prize Winners Concert" featuring winners from Melbourne Eisteddfod. 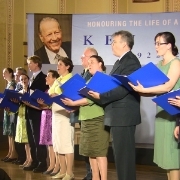 2003 "Kenja's Prize Winners Concert" featuring winners from Melbourne Eisteddfod. 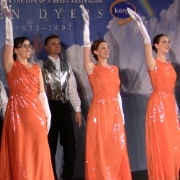 2004 "Kenja's Prize Winners Concert" featuring winners from Melbourne Eisteddfod. 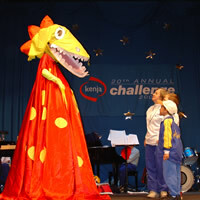 This show was put together to celebrate the 20th Kenja Challenge. 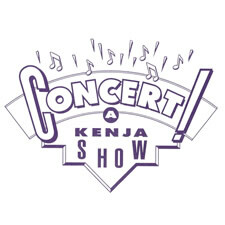 As a tribute to 17 years of Kenja shows, it featured a collection of songs from all the shows. 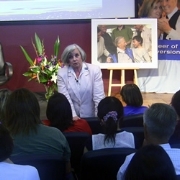 In October 2005, after much tabloid publicity concerning the Cornelia Rau affair which falsely associated her condition with her minimal involvement in Kenja, Ken was arrested and charged again. Given that, unbeknownst to us, police had originally dismissed these charges and did not proceed, it was obviously a return to the original attack. 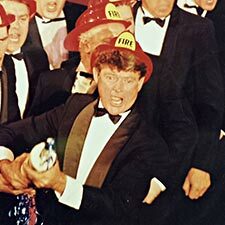 Ken was 83 years old and in ill health. Our realisation was that the same agenda was being pursued. There was no proper investigation. The media, fundamentalist Christian groups and the police all joined in the pejorative chorus of “The Cult”. 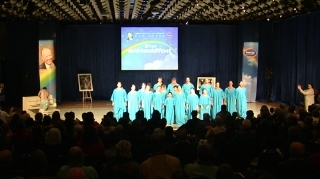 2006 "Kenja's Prize Winners Concert" featuring winners from Melbourne Eisteddfod. 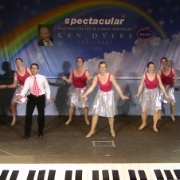 In 2007 the police pursued further allegations against Ken Dyers. 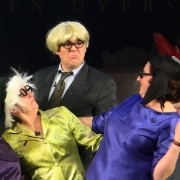 However in June 2007 the courts found that Mr Dyers was not fit to stand trial due to his ailing health and comprehension. He was 85 years old. He committed suicide after the police indicated they were investigating an allegation by a person who had left the organisation that she had been assaulted in 2006 – this allegation was just as ridiculous as all the previous allegations. 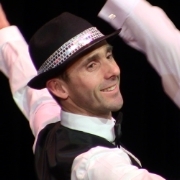 The police conduct in respect of that matter is the subject of present proceedings in the Supreme Court of NSW in which it is alleged the police acted maliciously towards Mr Dyers, leading him to take his life. 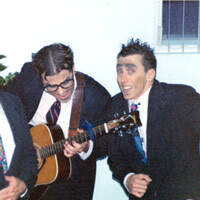 2007 "Guilty until Proven Innocent"
6 performances across Australia throughout late 2007. 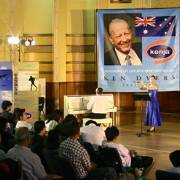 "Kenja's Prize Winners Concert" featuring winners from Melbourne Eisteddfod. 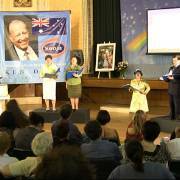 Currently being performed in venues across Australia.